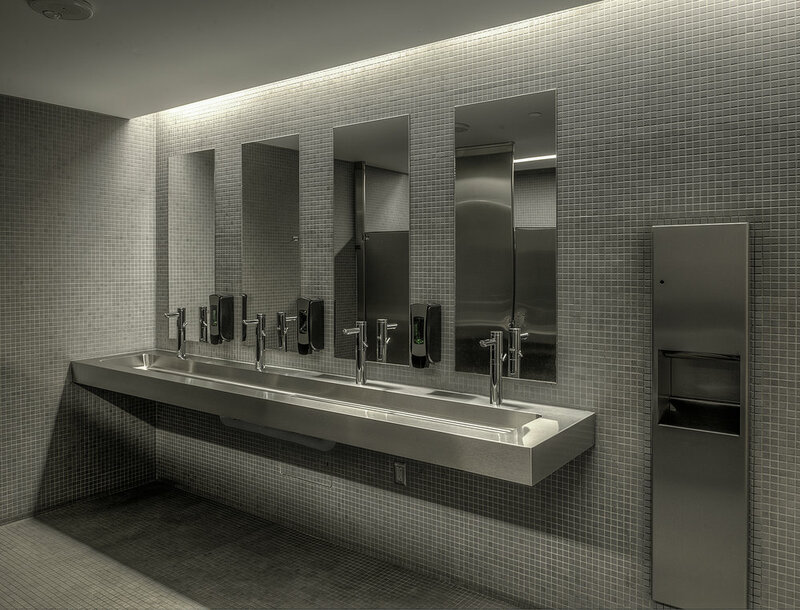 Alicia Kirwan, AIA designed these custom sinks which were recently installed in all public restrooms at the NC Museum of Art in Raleigh, North Carolina. The building opened in 2010 and was designed by Thomas Phifer and Partners of New York with the local architect being Pierce Brinkley Cease + Lee from Raleigh. The interior of this collegiate gothic building did not reflect its exterior appearance. Interior corridor ceilings are covered in conduit, mechanical systems and data runs. The front entry doors were not in character with the building, nor did they meet current egress requirements. 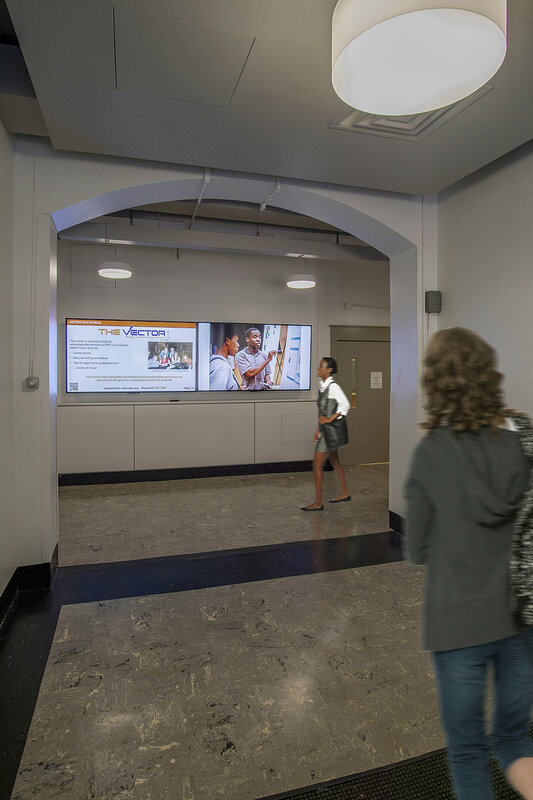 We worked with the University and the Departments of Astronomy, Mathematics and Physics on improvements to the entry experience. We designed new front doors and interior designs were studied for various ways to mitigate the appearance of conduit and mechanical systems. New lighting and finishes highlight the departments and minimize the distractions from equipment that cannot be moved. 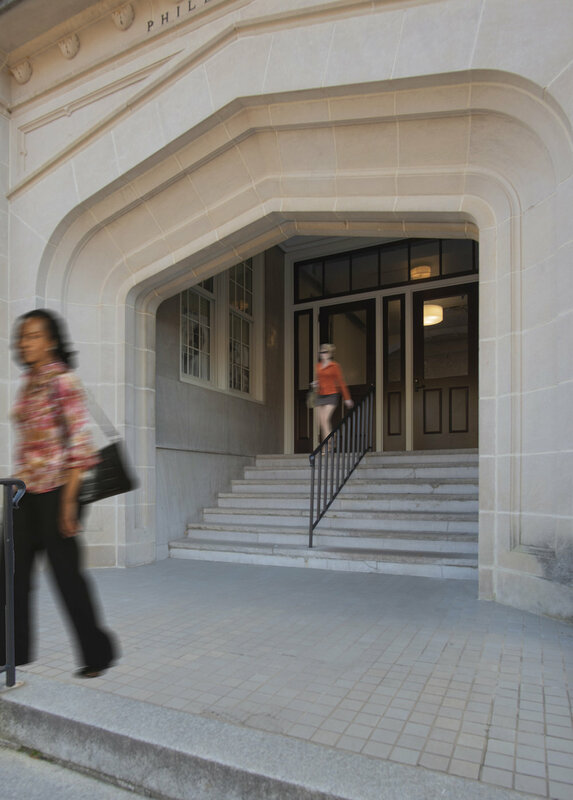 The welcoming space accomodates the waves of student traffic that utilize the area between classes. Wonderful building in Pittsboro. Find out more Here.